FM Database Consulting mainly develops solutions using FileMaker (www.filemaker.com) software – FileMaker Pro Client, FileMaker Pro Advanced, FileMaker Server (including FileMaker WebDirect and Custom Web Publishing) as well as FileMaker Go for the iPad/iPhone. FileMaker WebDirect extends the FileMaker Platform to qualified Android operating systems, as well. FileMaker is an amazing cross-platform, networkable database design engine. It’s ease of use combined with powerful development tools and rapid application development features allow us to make custom database solutions in a fraction of the time – and at a fraction of the cost – it takes to do so in PHP/MySQL, Ruby on Rails, .net, or other languages. FileMaker has published a white paper showing just how much you can expect to save–and it is substantial. In most cases, clients get an easier to use solution that is easier to modify for about 1/3 the cost. And they get the solution much faster, too! FileMaker shines when it becomes time to make custom reports – the heart and soul of small and medium businesses. 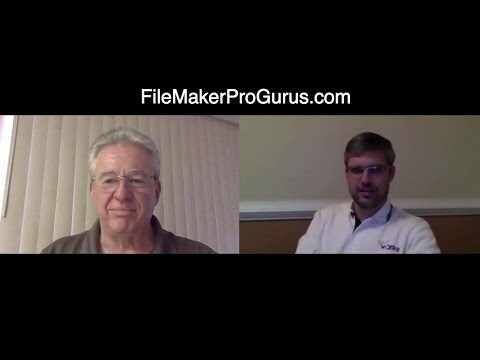 Why FileMaker? It makes the most sense for most projects. FileMaker sells over a million seats per year, from small mom and pop stores to over 80% of the Fortune 500, from medium sized business to workgroups in large universities. There’s a place for FileMaker in virtually every business. And it stretches those IT dollars to the max. Visit FileMaker to learn more about this great product. Contact FM Database Consulting to get started on your solution now.